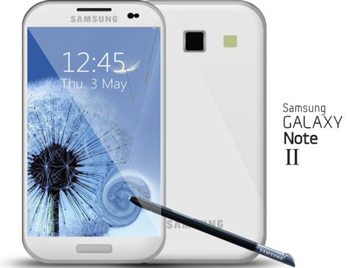 Samsung Mobile has just announced the GALAXY Note II on August 2012. The Samsung Galaxy Note II comes with a 5.5-inch HD Super AMOLED display with a resolution of 1280 x 720, and a 16:9 screen ratio to give you a nice, widescreen, cinema-like viewing experience, a 2GB RAM, an 8MP autofocus, LED flash primary camera and Android 4.1, so it is also considered as a big competitor of Apple's iPhone 5. And now you need a Samsung Galaxy Note 2 Video Converter. The large screen of the GALAXY Note 2 is designed for a better visual experience, and enhanced readability. Samsung Galaxy 2 is absolutely an idea tool to watch movies and streaming videos when you are out of home since it has a larger screen than common Smartphone’s and it is more convenient to carry than tablet PCs. However, there is a big problem to play videos and audios on Galaxy Note II as only specified video and audio formats can play on it. Apart from Samsung Galaxy Note 2.0, you can also convert online video and home-made videos to Nexus 7, iPhone 5, Nokia, Samsung Galaxy S3, HTC, Acer Iconia Tab A700, etc. So if you would like to transfer your favorite videos, audios or movies for playing on the Samsung Galaxy Note 2, you may need a Samsung Galaxy Note 2 Video Converter to help you convert them onto the supported video and audio formats first of all. And the Any Video Converter Ultimate is specific designed for you to convert any video formats to Samsung Galaxy Note II. It would meet any of your needs. With Samsung Galaxy Note II video converter, you can convert all popular video formats such as MTS, FLV, MOV, MKV and so on, especially the MKV (HD video format) and the FLV (YouTube video format) for Samsung Galaxy Note 2. Any Video Converter Ultimate, which is the best Samsung Galaxy Note 2 Video Converter, is a video converter as well as a audio converter for Samsung Galaxy Note 2. 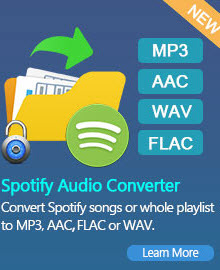 It can convert almost all video to audio formats such as mp3, aac, ogg, wma, wav, m4a, etc. Then you are able to use them as ringtone on your Samsung Galaxy Note 2. As you see, it only supports very limited video and audio formats. However, there are a variety of video types in our lives. Such as MKV, VOB, MOV, M2TS, Tivo, AVCHD, MXF, MOD, EVO etc. These files can't be streamed to Samsung Galaxy Note 2 for playback directly. You need convert them with Samsung Galaxy Note 2 Video Converter in advance. In this tutorial, you'll learn how to convert videos to Samsung Galaxy Note 2 compatible videos step by step to play videos or DVD movies on Galaxy Note II with the help of the best Samsung Galaxy Note 2 Video Converter. Simply click Add Video Files button to import the video files from your hard drive. Batch video conversion and merging videos are supported. 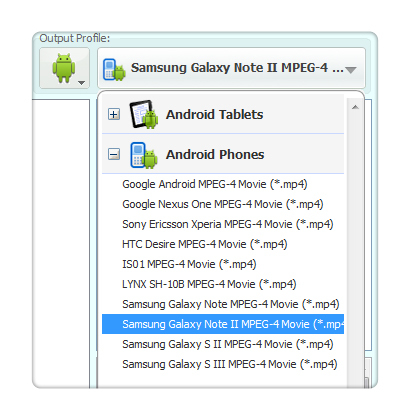 Choose output profile "Samsung Galaxy Note II MPEG-4 Movie (*.mp4)" in the profile drop-down list. For better enjoying videos on Samsung Galaxy Note 2, you can customize video and audio options, such as Video Codec, Video Bitrate, Audio Codec, Audio Bitrate, Audio Channel, Disable Audio, etc. Click Convert Now! button to start converting videos for Samsung Galaxy Note 2. Once the conversion is finished, you can click "Output Folder" button to get the output MP4 files. Then connect your Samsung Galaxy Note 2 with computer, import output videos into it, and have fun! With this powerful Samsung Galaxy Note 2 Video Converter, you can easily rip DVDs and to play in your Samsung Galaxy Note 2. Any Video Converter Ultimate is also an excellent DVD ripping software which can help convert both of your NTSC and PAL DVD to MP4 for Samsung Galaxy Note 2. Besides MP4 format, the DVD converter can rip DVD to AVI, MPEG, MKV, ASF, WMV, M2TS, FLV, MP3, WMA, etc, with high quality. With Samsung Galaxy Note 2 Video Converter, you have the ability to select DVD titles, chapters or segments for the ripping, instead of converting an entire movie into one huge file; copy protected DVD movies; take snapshot from playing video or DVD movie and save as PNG picture format; extract audio from DVD movies and save as MP3, AAC, WMA, M4A, WAVE or OGG audio files for your mp3 players and mobile phones. Downloading and converting online video from YouTube, Nico, Google, MetaCafe, HowCast, Facebook, Liveleak, Veoh, Vevo, Vimeo, myvideo.de to Samsung Galaxy Note 2, iPod, iPhone, PSP, Archos and many other PMPs is also available. Just with a few clicks and several seconds, Samsung Galaxy Note 2 Video Converter helps you to save the online video in MP4, AVI, WMV or many other video formats for your portable media devices. Any Video Converter Ultimate, the versatile Samsung Galaxy Note 2 video converter, is the wonderful video & DVD software that allows you try before you buy. Any Video Converter Ultimate can also convert video to Huawei Products such as Huawei Ascend P1 S, Huawei Ascend D1, Huawei Ascend W1 and others. You can just simply click the following link to download the Samsung Galaxy Note 2 video converter program and try it out. Fave fun! Read More: How to Watch iTunes Movies on Samsung Galaxy Note 2? Apple encodes iTunes movies and TV shows with DRM protection. If you transfer the movies you downloaded from iTunes store to your Samsung Galaxy Note 2 directly, you will find that the iTunes video file cannot read properly on it. 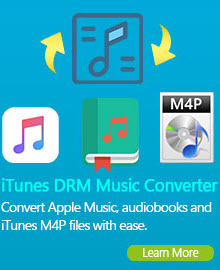 With M4V Converter Plus, you can remove DRM protection from iTunes movies and TV shows and convert them to unprotected video files for playback on Samsung Galaxy Note 2 in simple three steps. With a concise interface, the M4V Converter Plus is quite easy for operation regardless of your level of experience. Download the demo version of M4V Converter Plus to have a try!